Uganda offers many wonderful attractions including beautiful scenery, wildlife viewing, and mountain gorilla trekking. One of the most memorable experiences is a daytime or overnight visit to a village or homestead. Learn about the life of rural women as heads of households and custodians of traditions and indigenous knowledge. Their resilience and commitment to extended family and community have kept the African family intact through centuries of adversity. COBATI’s community tourism program includes a network of village homesteads in central and southwestern Uganda en route to several national parks, including the Bwindi and Mgahinga mountain gorilla sanctuaries. The host families are well-established members of their village, which also enables the community to earn supplementary income. 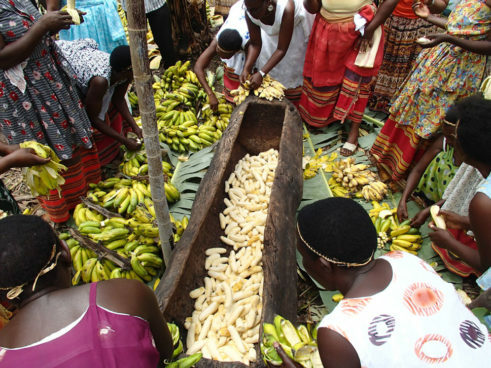 The program is a means for visitors to experience the rural Ugandan lifestyle and for residents to share their cultural heritage and benefit from tourism. The family keeps 80% of the income and the balance goes to a community fund that supports a local primary school. A homestay is ideal for individuals and small groups who wish to experience the rural Uganda lifestyle and learn about local culture. As a homestead guest, you participate in the host family’s daily activities as they become your guide during the stay. They will accompany you in your explorations and treat you as if you lived in the village. Visitors eat meals local style, meaning meals that the everyday villager eats. Visitors are welcome overnight or for the day to participate in the many available activities. Reservations are required 48 hours in advance. There are many exciting things to do when you visit a homestead. For overnight guests, many activities are included in the nightly rate. For daytime visitors, activities are available for a small fee. Each homestead offers different activities – below are some examples – please see individual homestead pages for specifics. Income from crafts goes a long way in the supplementing the income of Nubian women. The artist receives most of the proceeds from the sale and 10% goes to a women’s group fund. The women use the fund to buy school lunch for their children and Delivery Kits for births. 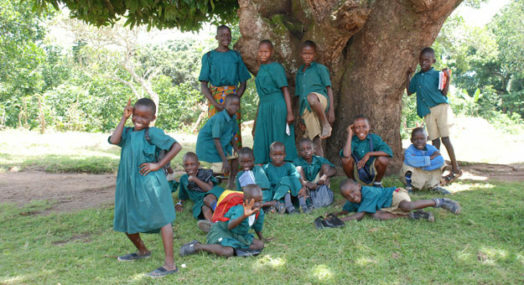 The school provides free education but not meals. Lunch is not affordable for the villagers, especially without a source of income. For UGX 3,000 (US $1.50) per semester each child can have a cup of porridge every day for the entire semester. When a tourist purchases a handcraft, the women are able to pay for a cup of porridge that will sustain their children for the eight hours they are at school. The health centres are inadequately stocked, so it is difficult to provide complete delivery care to pregnant women. The women use money from the fund to purchase a Delivery Kit that includes a pair of gloves, disinfectant, razor blades, gauze, antiseptic, sanitary towels, and other supplies. Without these supplies, the women would have to deliver at home no matter the complications. So as you can see, when a tourist buys just one handcraft, it goes a long way in sustaining the people in homestead communities. See what other travelers said about their visit to a COBATI homestead. If you have visited a COBATI homestead, we invite you to submit a review to share your experience.